I totally agree with you, grey is not the first color i think of, but I love this! It's so unique and cool with the colors they designed these room's with. Thanks so much for sharing! Oh really? 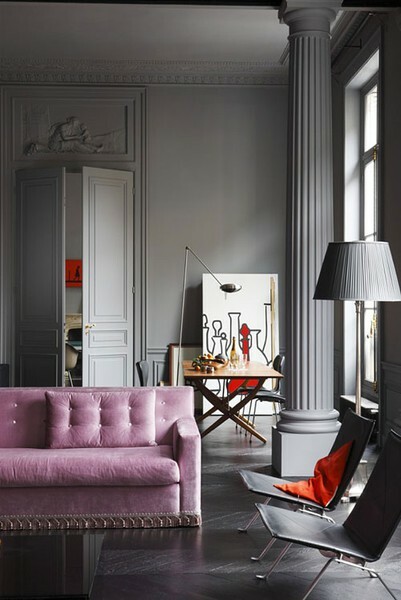 Light grey is the first wall color that comes to mind, maybe because it's my favorite color ;) how stunning is that lilac couch with the grey background? Love it! 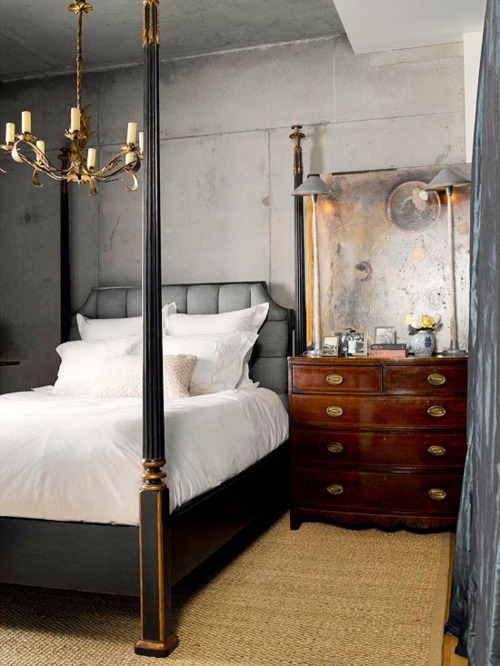 I too never thought I'd be a fan of gray, especially on walls, but I am loving those rooms! And yes, that dressing area is to die for! What a fabulous blog! Love these gray spaces! I am really loving gray! I have used it combined with white and espresso in our bedroom and love it! Just love gray! I loved this room with a touch of color on the couch!! Gray is the new white. I recently took the leap and had my bedroom, living room, and dining room painted in shades of gray. I'm so happy every room looks bright and spacious. Pretty pictures. I'm gray all the way! In fact, I probably use gray too much, but I can't help it. I love it as a calm, but deep neutral. My fave! I want that closet!!! Would make me a very happy girl! That first room is just stunning!